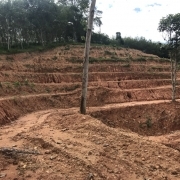 As part of the STEF objectives of sustainability, we are developing the hilly slopes at Ban Ton Sae for cultivating the crops we shall require for our elephants and humans. 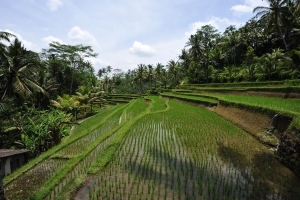 We need to grow rice, pineapples, bamboo and elephant grass and this will require careful agricultural management. But our aim is to grow all our needs on our own land. Because the land is hilly, we must use terracing. A terrace is a sloped plane cut into a series of platforms or steps. 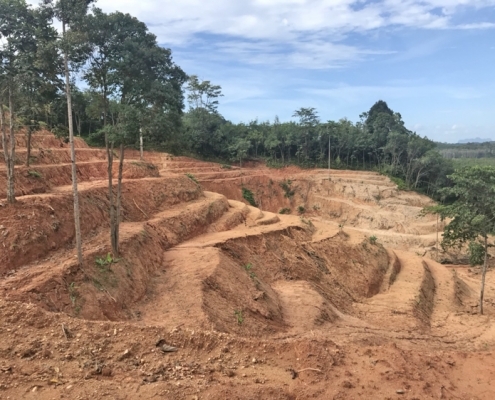 These are hugely important in our climate as they minimise erosion and can support the growing of crops that require irrigation, such as rice. The famous Ifugao Rice Terraces in the Philippines became a UNESCO World Heritage Site in 1995 as they illustrate the remarkable ability of human culture to adapt to new social and climate pressures as well as to implement and develop new ideas and technologies. (Photo right from Wikipedia). 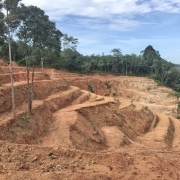 Our terraces are on a very small scale but have already been carved into the hillside. They will be fed by the natural springs on site. In the old days, such terracing was very labour intensive but modern machinery has made it relatively easy for us. We can almost visualise what the hills will look like once the first crops appear. 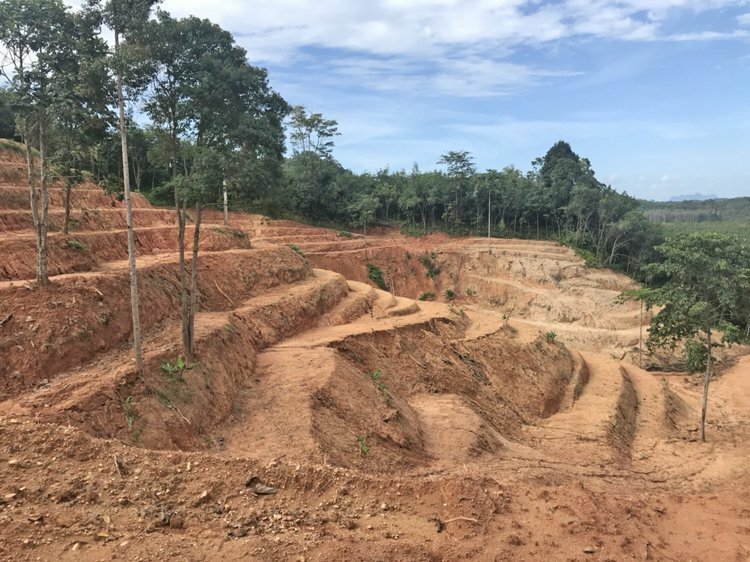 We also think the terraces really enhance the hilly terrain, replacing the vast number of rubber trees and palm oil trees that were grown there previously. Here on the left is a picture to suggest what it may look like next year. If you can support our work, please donate. Any gift, large or small, will be very much appreciated as we strive to create an ecocentre for elephants in Southern Thailand. Just click here.